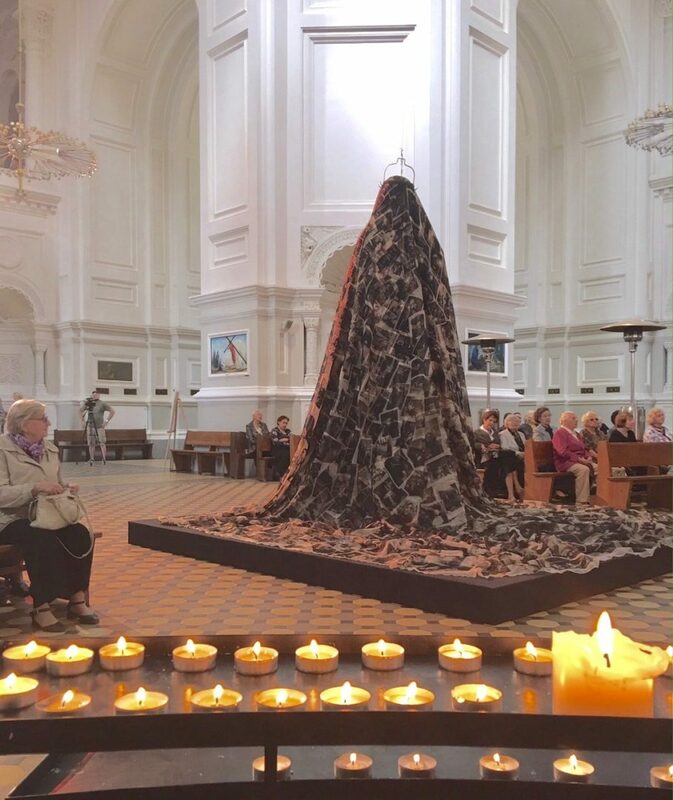 In June of 2016, my sister, Ina Kozel, was in Lithuania, involved in a series of exhibits of her art installation, “Bride of War” (see much more about that below). 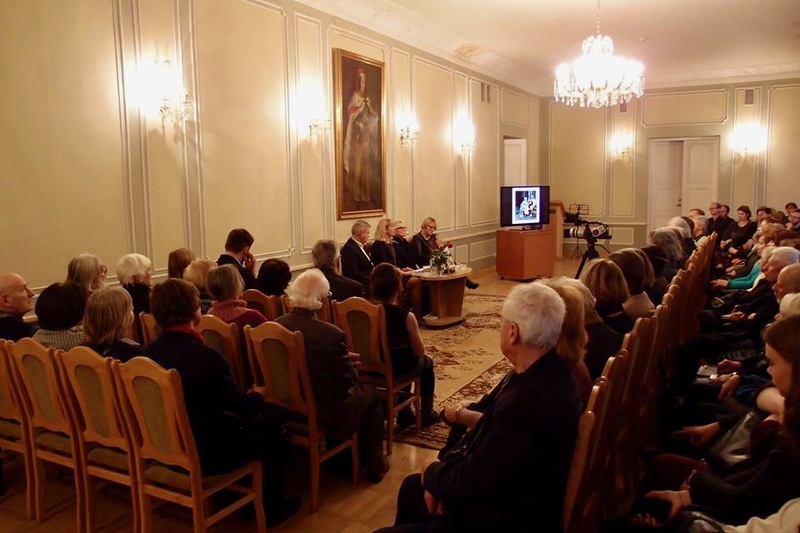 She was introduced to Dr. Jakubaviciene, who is a historian/curator at the Historical Presidential Palace in Kaunas, who had recently published two books about the First Lady of Lithuania between the two World Wars. Through my sister’s initiative, a third book in the series was produced. 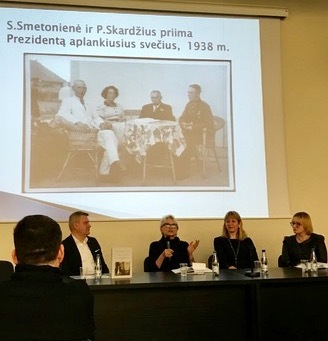 At its core, the book features the memoirs of our father who served as head of security for the President and First Lady of independent Lithuania in 1938 and 1939. The book also features a collection of letters from the First Lady to our father when he was in a refugee camp with my mother, sister, and my grandmother, from 1946 to 1949. My sister and I each contributed chapters of our memories of our father and of the First Lady, who was my Godmother. The book was published in February of 2017 in Lithuania, where it garnered a considerable amount of media interest. I can best translate the cover title as “In the President’s Guard – Lieutenant Povilas Skardzius’ Memoirs”. 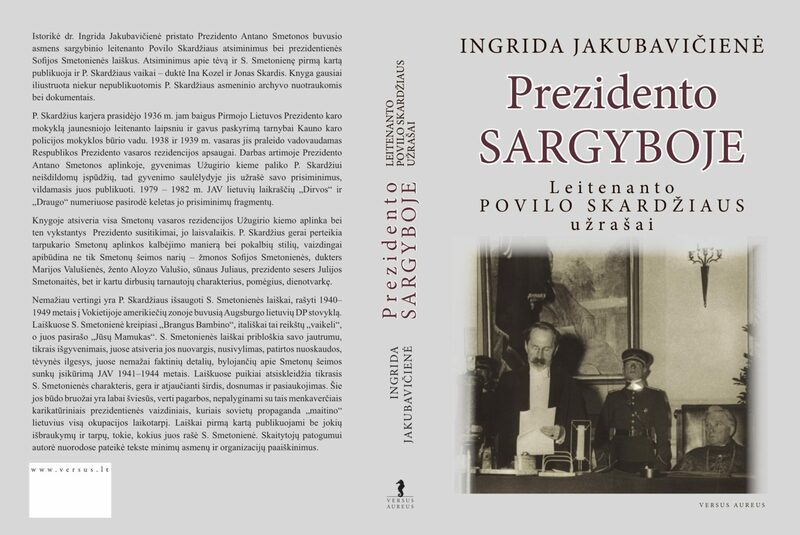 Or, it might better match current US terminology to translate it as “In the President’s Secret Service.” Ingrida Jakubaviciene, PhD, the editor of this book, is the official historian of the Historical Presidential Palace of the Republic of Lithuania in Kaunas. She also wrote the Introduction and the small English language Summary at the end of the book. 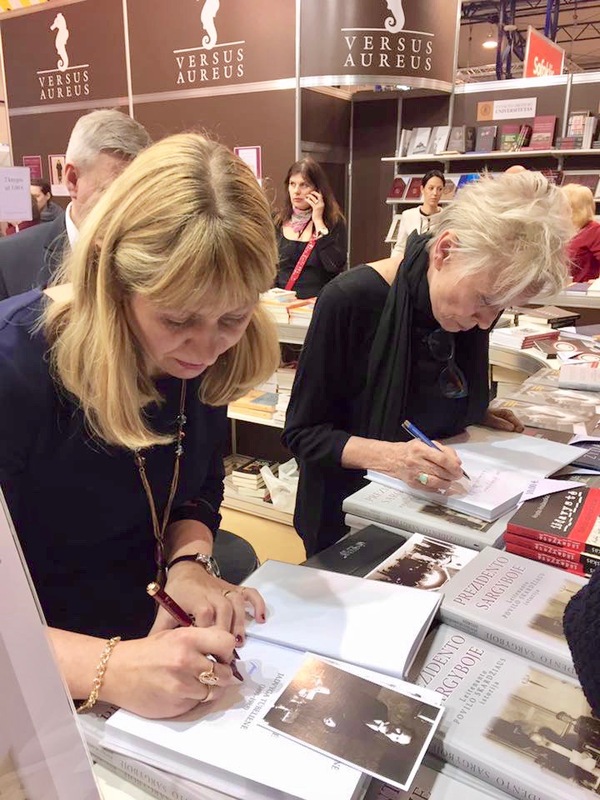 My sister initiated the process with Ingrida, and saw it through to presentation of the new publication at a large and prestigious book fair, and through various press conferences, media presentations and interviews that followed. 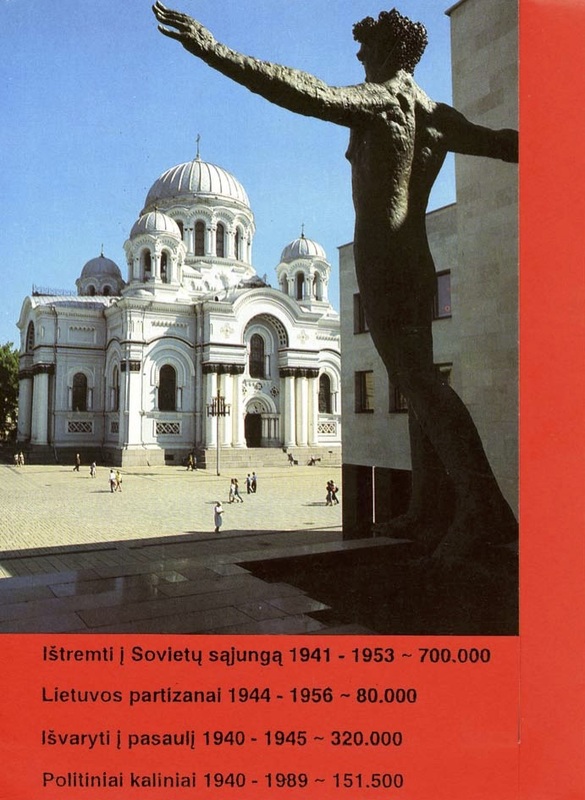 This hard bound book can be purchased over the internet by clicking here; some internet browsers may offer to translate this Lithuanian page into English. The book is only available in Lithuanian, but it is rich with many, many wonderful photos that tell much of the story visually. There is also a short English language summary in the last pages of the book. Click here to read an English version of my chapter with memories of my father and my Godmother, the First Lady. Click here to read an English version of my sister’s chapter with her recollections of refugee camp and beyond. In the below clip, my sister is interviewed on LRT, Lithuania’s national public TV station, much like PBS in the United States. The following is an interview that was broadcast on 3/7/17 on the Lithuanian national TV show “Good Morning, Lithuania”. The host interviews Ingrida Jakubaviciene, the presidential historian who served as editor of this new book. Books seem to have greater public importance in Lithuania than in the US. 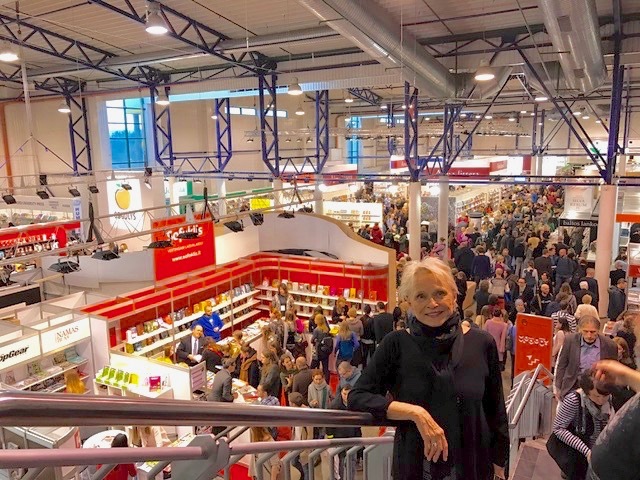 Here is my sister Ina at the prestigious Vilnius Book Fair. 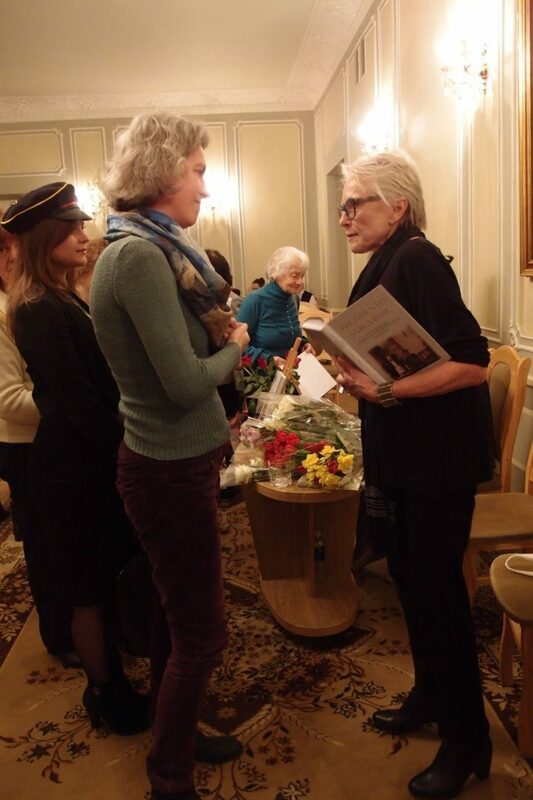 Ina (on the right) reports she got writer’s cramp from the countless book signings. Here is a photo of Ina speaking at a press conference at the book fair. 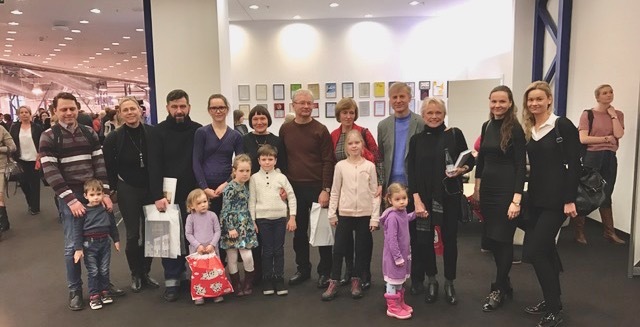 Some of our family members from Vilnius came to show support for Ina and the book. 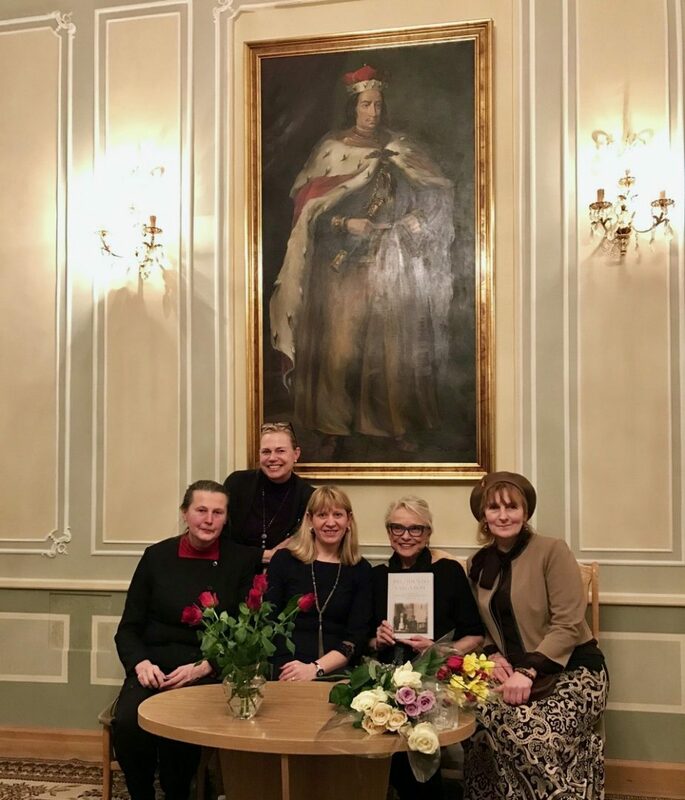 Ina and Ingrida also introduced the book at a gathering at the Historical Presidential Palace of the Republic of Lithuania in Kaunas. Ina made sure to get photographed with her “Angels”, ladies who helped her through this process. Ina visited the town of Utena and brought copies of the book for family members there. Our father, Povilas Skardzius, was the oldest of 8 children who survived infancy. Though our father passed away at age 80 in 1992, he is still survived by his youngest brother, Liudvikas, who Ina is hugging in the center of the following photo. Now for some historical background. This is the long backstory to how this book came to be. My sister is an artist and has been working periodically on projects in Lithuania. See her website. In 1990, we were all lit up with excitement from Lithuania’s declaration of independence. In that chaos, the KGB fled their headquarters in a hurry, leaving file cabinets full of photos of Lithuanians they executed, commonly with a gunshot to the head, followed immediately by a photograph. Our cousin, Vida, also an artist, came into possession of those photographs. The building quickly was taken over by the new Lithuanian government and made into a museum, and she became the curator. She and Ina created an art installation and event in 1995 to raise consciousness about the then often denied USSR genocide which after WWII caused one third of the Lithuanian population to be killed, deported to work camps in Siberia, or forced to flee their homeland. 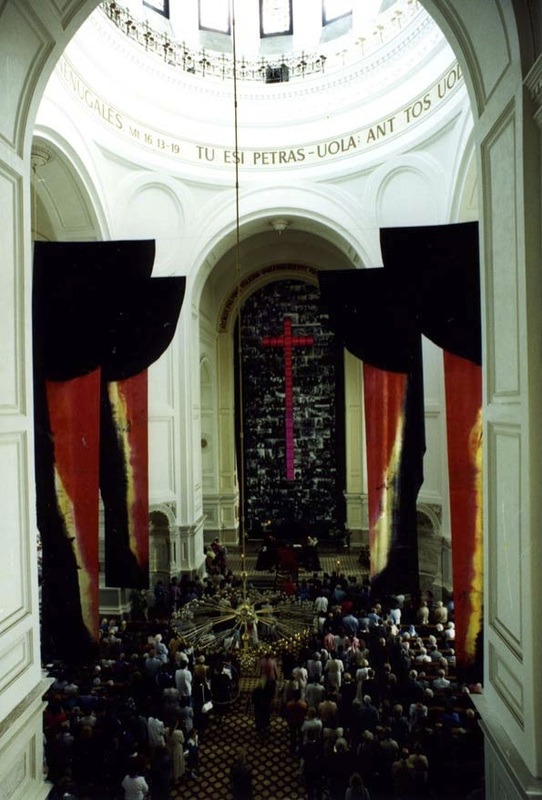 That art installation in 1995 took place in the large cathedral in Kaunas, the second largest city. 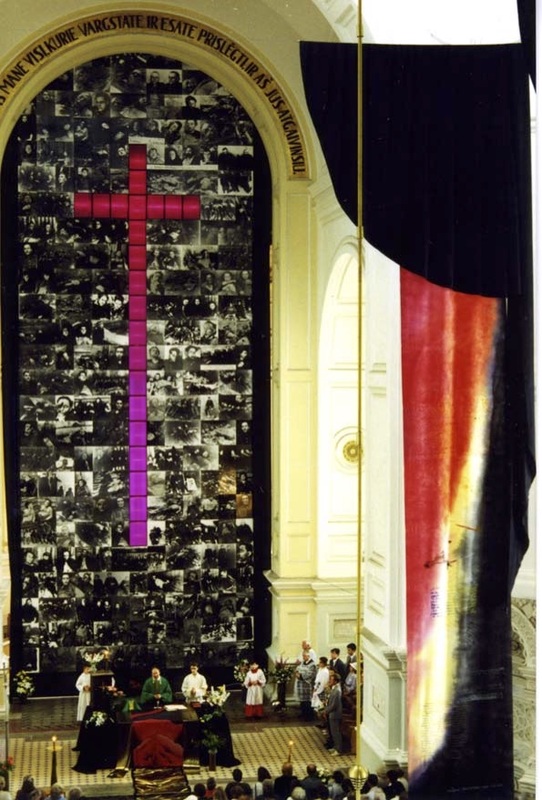 Note in the photos that follow how the KGB photos of the executed Lithuanians were placed on the floor in the center of the cathedral, and they were used to create the 4-story high wall behind the altar. This major exhibition opened in 1995 with the plan of it being there for at least 6 months. It drew considerable media attention, and undoubtedly pushed consciousness in a country still influenced by 50 years of Soviet occupation. However, some dark forces still present in this post-Soviet society apparently forced closing of the exhibit after just two days. 21 years went by. Our cousin Vida passed away. Ina kept looking for a way to use her art in socially conscious expression to again make similar anti-genocide, anti-war messages. She created an art installation entitled “Bride of War”. 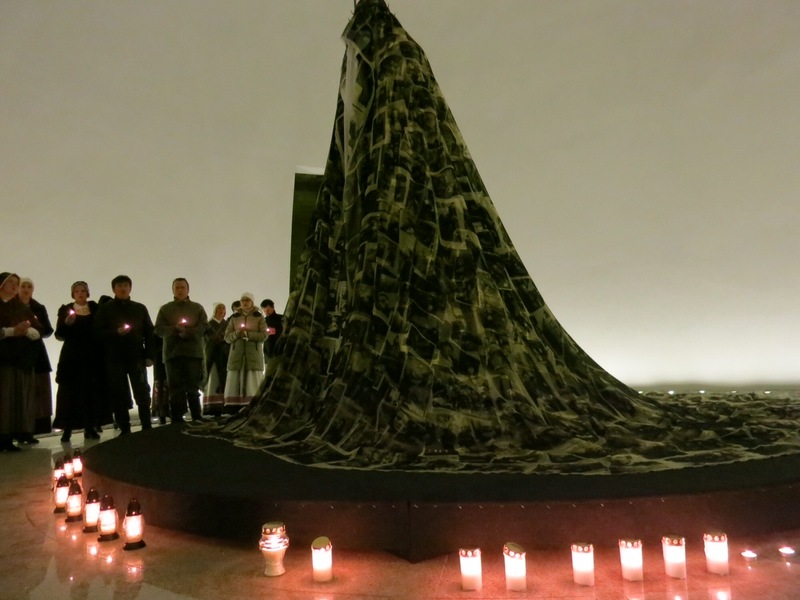 The bride is a very tall, ominous figurine draped in silk that bears the same photos of KGB executed Lithuanians. It is a much smaller installation than the 1995 installation, but it is nevertheless visually captivating and emotional, another strong anti-war statement. 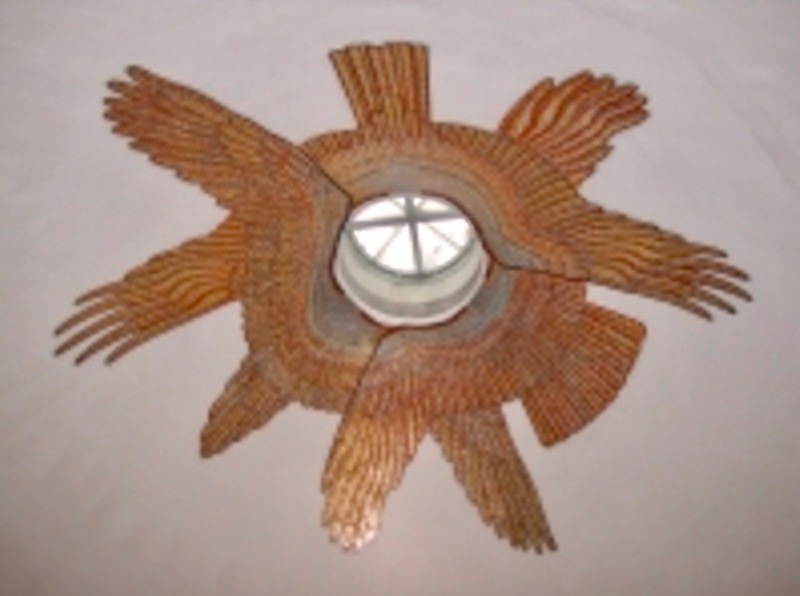 In 2016 it was again ceremoniously installed in the same large cathedral as 21 years earlier. 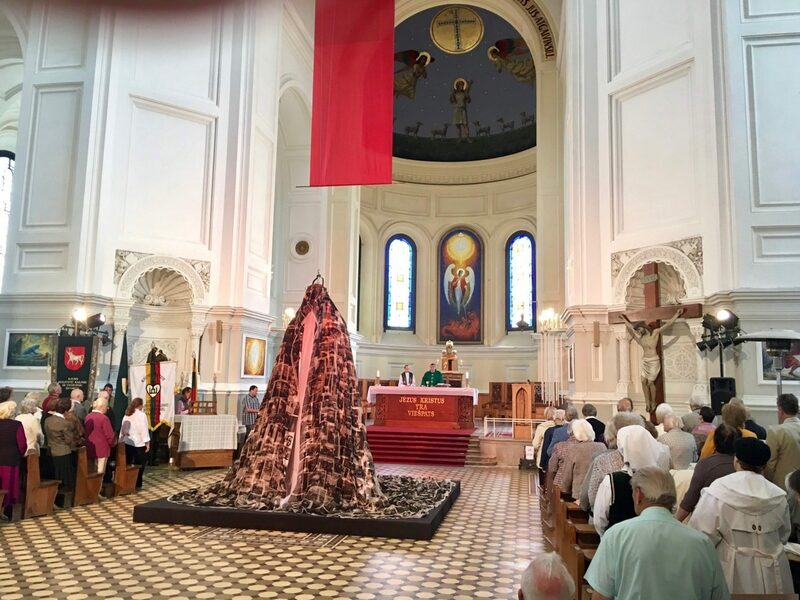 Click here for a Lithuanian language review of the 2016 cathedral installation. This cathedral has had a special link to the Lithuanian military going way, way back. Our father brought his troops here for mass in 1938 and 1939. In 1995, and in 2016, honor guards from the military participated in Ina’s events. Below see her team of volunteers that did the wiring to suspend the bride in place and helped with other installation logistics. The installation was featured in other venues in Lithuania over 2016 and 2017, finally finding what appears to be a permanent home. To understand this new, permanent home for the “Bride of War”, let’s go back in history. 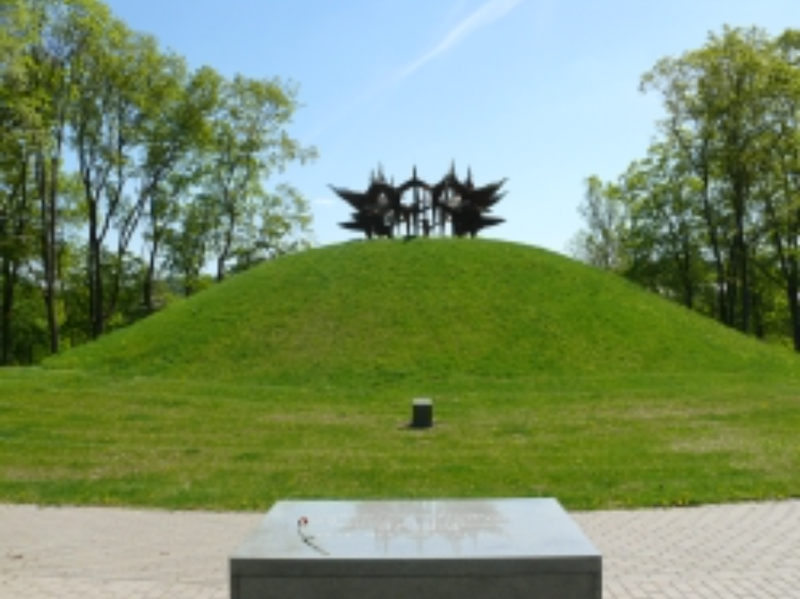 From 1944 to 1947, the victims of KGB executions were buried in a mass grave outside of the Lithuanian capital of Vilnius that has now been made into a memorial. From the outside it looks like a mound. 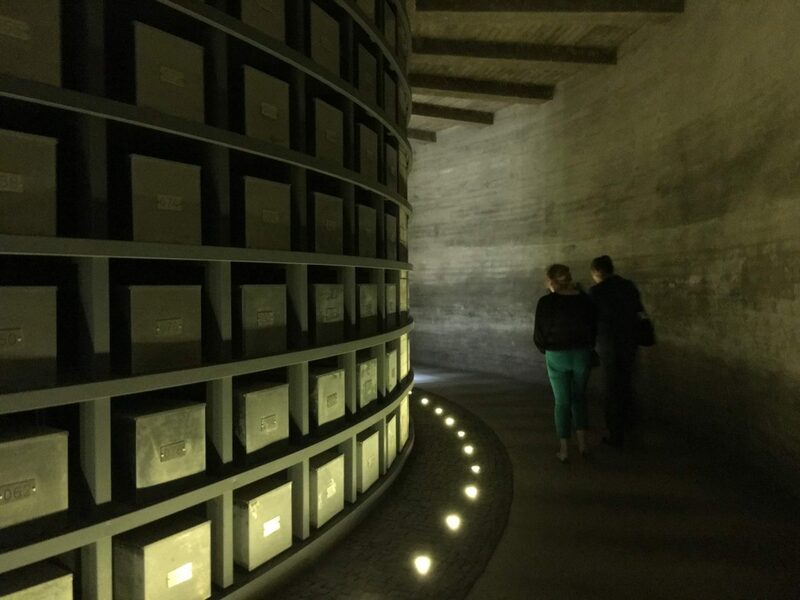 As this was and is a burial site, most of the memorial is below ground, in a circular arrangement. Around the edges of the circle are the remains of the KGB victims. 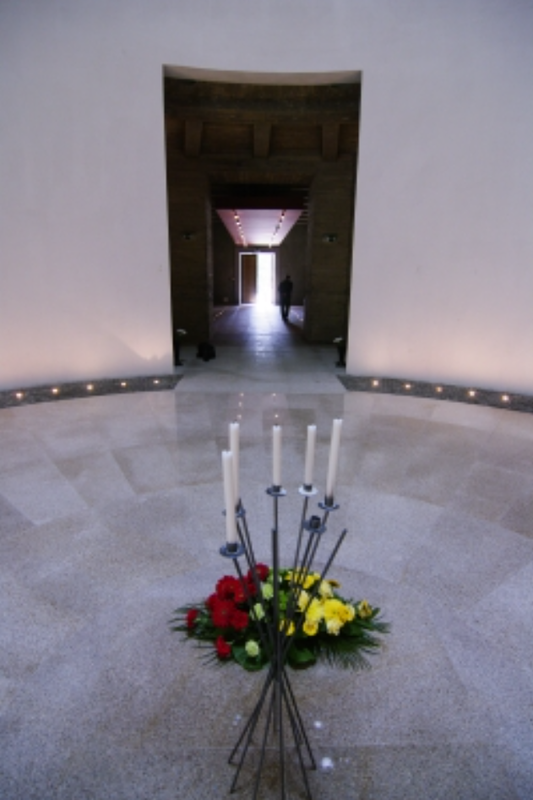 In the center of the circular monument is an open chamber. Above the round, open area, in the ceiling, at the top of the mound, is a small window to the heavens. It was below this window to the heavens, in the center of the round central chamber of this memorial, that proved to be such an obviously fitting place for “The Bride of War”. The photos on the bride’s veil and gown are the photos of those whose remains are surrounding that central chamber. The following photo is of the “Bride of War” in the central chamber on All Soul’s Day. 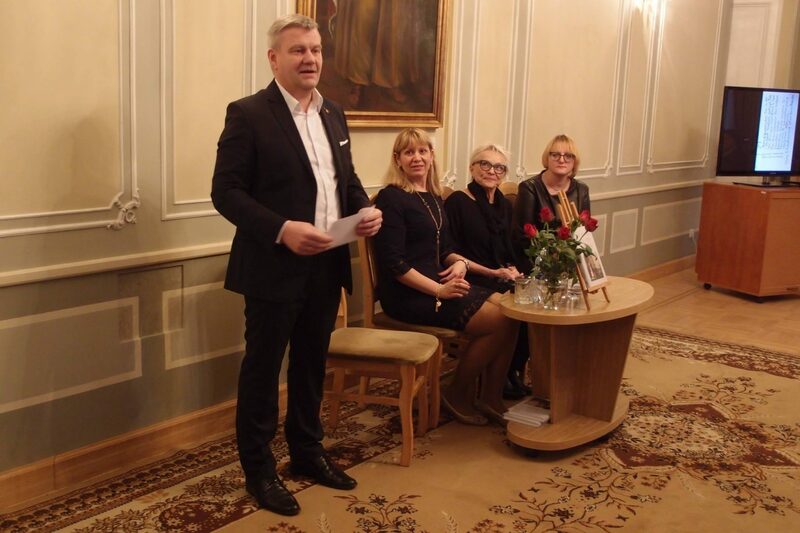 It was in the context of the “Bride of War” installations that someone decided that it would be a good idea to connect my sister Ina with the official presidential historian of the Republic of Lithuania, Ingrida Jakubaviciene. 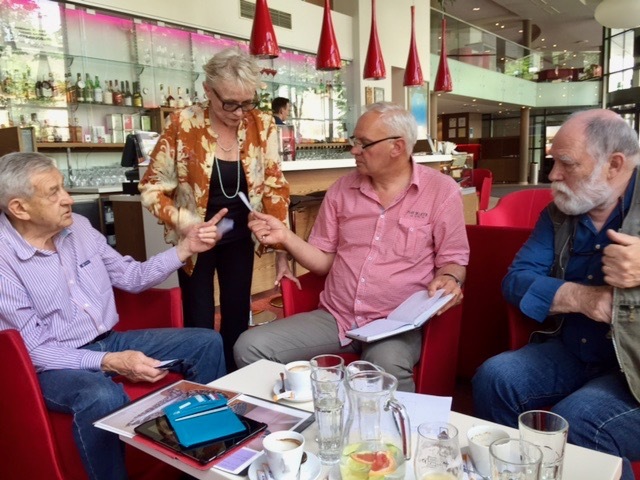 Things clicked and in June of 2016 the two set off to make the book that is the subject of this web page. Ina and I wrote our chapters. We collected and scanned all of the relevant photos in our common archive. By February of 2017 it was a published book, garnering the attention of the Lithuanian media and Lithuanian readers.